Stevenage have completed the double signing of Exeter midfielder James Dunne and Wycombe keeper Steve Arnold. 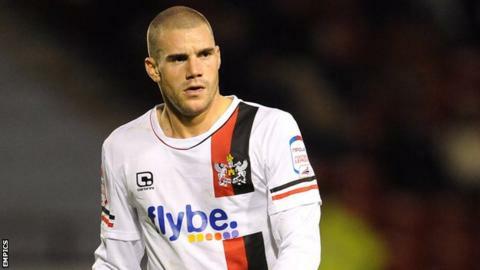 Both players were out of contract at their clubs, although Exeter were eager to keep hold of 22-year-old Dunne, who played 51 games this season. The Grecians will be due compensation for the former Arsenal youngster as he is under the age of 24. Arnold, also 22, spent the bulk of last season on loan at Hayes & Yeading, appearing 31 times. He started his career at Norwich before moving to non-league Grays and then switched to Wycombe two years ago. But leaves Adams Park without making a single first-team appearance. He is believed to have signed a one-year deal, while the length of Dunne's contract is undisclosed. Dunne arrived at St James Park in 2009 and established himself as an influential player for the Devon side, featuring in 110 league games and scoring six goals.